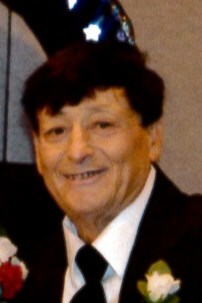 Ronald Lee Story, 71, of Asheboro, died Friday, January 18, 2019 at Moses H. Cone Memorial Hospital in Greensboro. Funeral Services, 2:00PM, Monday, at Loflin Funeral Home Chapel, Ramseur. Burial, Randolph Memorial Park, Asheboro. Ronald was a native of Davidson County and longtime resident of Asheboro. He was a member of Cedar Falls UMC and retired from the Randolph County school system. He was an avid bird watcher and loved the beach and the outdoors. He loved his children and grandchildren and enjoyed his pets. Ronald went every day to the Biscuit Co. and loved Lexington Barbeque. He was preceded in death by his parents Frutchey and June Brooks Story. Survivors: wife, Nancy Doss Story, of the home, sons, Paul N. Story and wife Shelia, of Ramseur, David W. Story and wife Jessica, of Asheboro, Clint A. Doss, of Asheboro, grandchildren, Courtney Doss, Conner Hayden, Lauren Hayden. Visitation, 6:00PM to 8:00PM, Sunday, Loflin Funeral Home & Cremation Service, Ramseur. Memorials may be made to Asheboro Kidney Center, 187 Browers Chapel Rd. Asheboro, NC 27205.